See below for our Carpet Cleaning Offer. 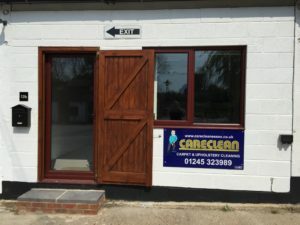 Since 1984 we have been running Careclean Essex from home. For the last 10 years from a purpose-built luxury cabin (though some would call it a shed). Our vans and equipment were stored at a local yard. However, recently with the carpet and upholstery cleaning getting so busy, we’ve been looking to move. After a lot of searching we have finally found the perfect site. 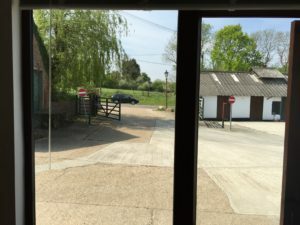 Its a farm with business units in Rettendon. We now have everything in one place. This makes so much difference to us. It has only taken 32 years! Careclean is owned and run by Julie and Kevin Barber. Deb and Nick work in the office. Vinny, Phil and Nick work on the van and do the hard graft such as carpet and upholstery cleaning. Julie helps with the general running of the business and Kevin likes to think he controls the rest of the business including giving quotes. If you are passing by and fancy popping in to say hello, we’re at highlands Farm, Rettendon. Give us a call and we would love to see you. 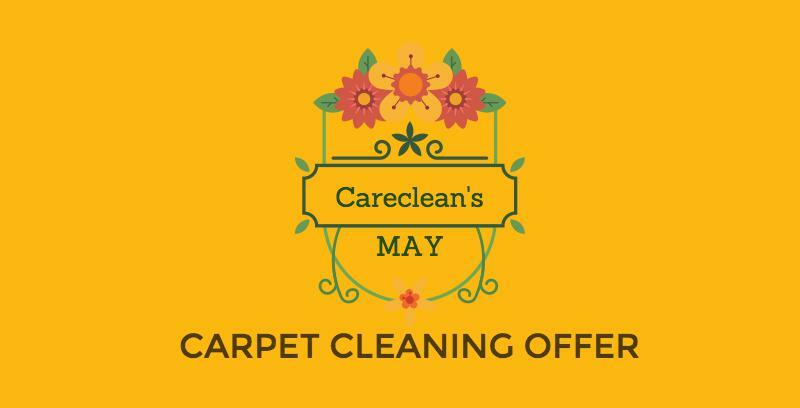 In fact we would love to give you a free a bottle of our general Carpet and Upholstery Cleaning Spotter. It’s always important to use a correct spotter to remove stains. Using something soapy will often cause more trouble than its worth, actually attracting dirt. To use our spotter, firstly, if a liquid, blot as much as possible then spray the spotter on to the affected area and carry on dabbing the cloth on to the stains. View From Our Office window. Every 3rd Carpet Cleaned For FREE.